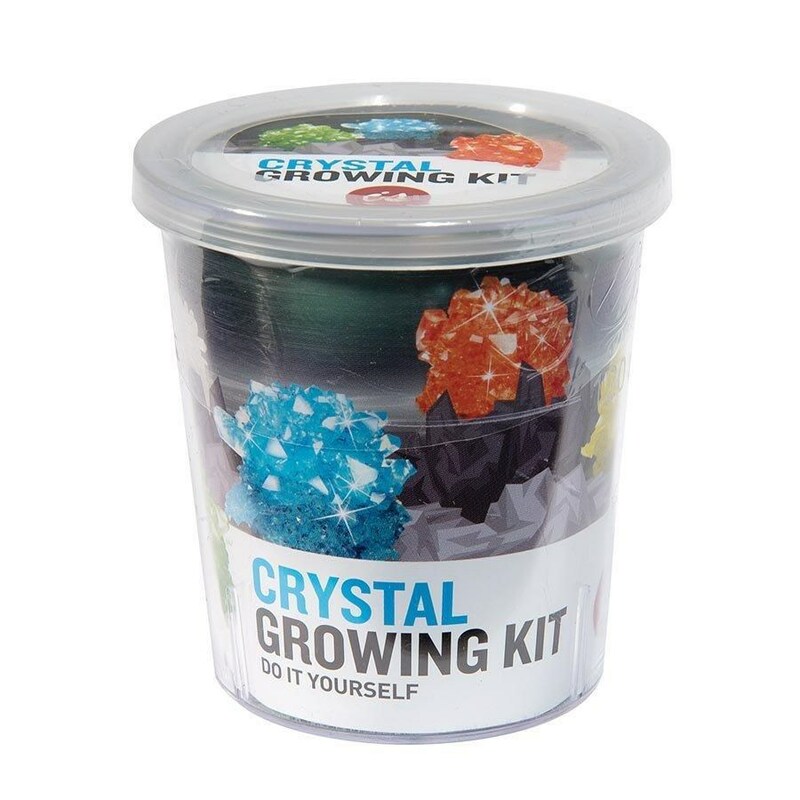 Everything you need to create your own dazzling crystal is included in this easy and educational kit. Follow the simple instructions and in seven days you will have your own sparkling crystal cluster. The crystal will grow differently every time due to varying conditions such as temperature, humidity and other factors changing from day-to-day. For this reason, every crystal is unique and with each crystal you create, you will be amazed at the different results! Grows one crystal per kit. Colour selected at random.